In this week's episode of Aisling's Holistic Health Show Podcast I interviewed the lovely Corina Maeting of The Jam Goddess. I've had the pleasure of getting to know Corina through working with her as a client in my Holistic Nutrition Practice and during our business coaching course. Corina has a background in the Corporate world which prepared her for the birth of her first company The Jam Goddess, producing beautiful sugar free jam using organic stevia, chia seeds and top quality seasonal fruits handmade in small batches. I must say I was seriously impressed by the quality of The Jam Goddess jams and was over the moon that there is no refined sugars in her jams. 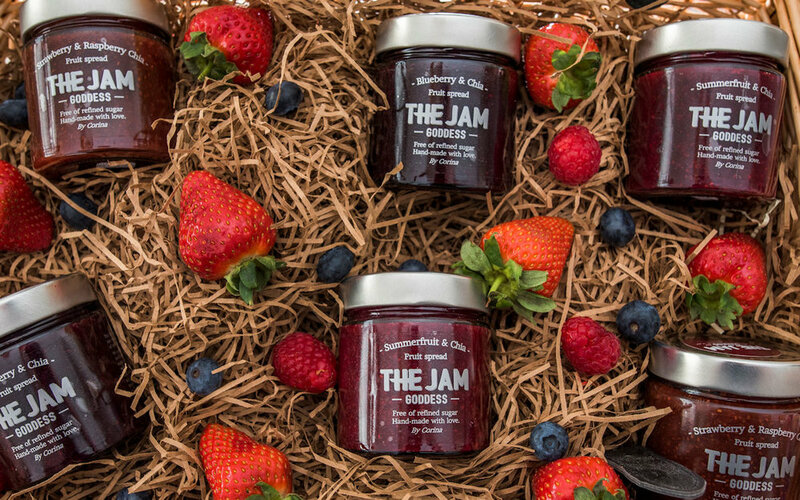 For extra transparency The Jam Goddess has been accredited by SUGARWISE The Jam Goddess works really hard to make products that are truly nutritious as well as delicious. Removing sugar was a conscious decision. All three flavours went for extensive lab testing at Sugarwise. There is a lot of products out there claiming to have no added sugar which are still not truly low-sugar. The Jam Goddess is happy to report that the lab testing has confirmed that their products contain less than 5% of free sugar per 100g. Independently verified and now certified by Sugarwise, so everyone can enjoy what they offer without having to worry about sugar! Hurrah! Thank you Jam Goddess for doing what you do with such love and care. If you enter the discount code "Energy is Your Currency" you will receive a 10 % of your first order of The Jam Goddess Jams. The Jam Goddess is accredited by Sugarwise for third party verification of sugar free status.